Luoman is a family business that has been active in the world of garden building for over three decades already. From our production line leaves tens of thousands buildings, for different kind of customers and gardens need, every year. Not only do we have the largest production capacity on the market, but the quality of our timber buildings is in its own class – to the extent that other tend to follow us. 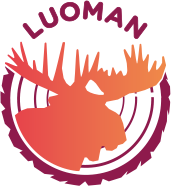 The story of Luoman started back in 1982 in the village of Kylänpää in Lapua. At first we focused circular sawing and planing timber. At the time workshops nearby were our customers, to whom we provided wooden components and boxes. Since then a lot has happened and Luoman has grown to become a substantial garden building manufacturer on the international market. At the moment Luoman has production or sales in Finland, Germany and France. Our high quality products are exported to more than 30 countries worldwide, where they can be purchased through our dealers, mainly hardware stores. As an addition, our products are also available through our web shops.